Get to know more about Amy Alexander, Senior Biomedical Engineer in the Mayo Clinic Department of Radiology’s Anatomic Modeling Lab in Rochester (MN, USA), ahead of Future Science Group's Twitter chat for International Women's Day 2019. March 8 marks International Women’s Day, an annual day calling for a more gender-balanced world. This year, Future Science Group are hoping to promote the conversation around gender equality in STEM with our #TalkIWD Twitter Chat! This one-hour event will take place on 8 March at 3pm GMT/10am EST; hosted by the @futuresciencegp handle we will be joined by a fantastic panel of scientists from all stages of their careers sharing their thoughts on gender equality in science. If you would like to submit a question to 3DMedNet panellist, Amy Alexander (Mayo Clinic; MN, USA), or any of the other panellists, please leave your question in the comments! In this interview, find out more about 3DMedNet panellist, Amy Alexander. What made you decide to pursue science as a career? I was in ninth grade Biology class and we had a guest speaker who was a biomedical engineer at Mayo Clinic in Rochester (MN, US) – my hometown. It was the first time I had heard of ‘biomedical engineering’ and she told us about how she created tools that helped surgeons improve their work in the operating room. My internal lightbulb flickered and I knew that this was a path I needed to explore. Mayo Clinic has had engineers at the helm of medical device development for over 100 years and over that time they have worked with medical providers to improve the lives of countless patients. I had always enjoyed math and science, and the idea of incorporating patient care appealed to me from a human perspective. I hoped that I could build a career that was both intellectually and intrinsically fulfilling. When did you first become interested in working with 3D printing? While attending the Milwaukee School of Engineering (MSOE; WI, USA), I was introduced to the MSOE Rapid Prototyping Center (RPC). This was in the mid-2000s and ‘3D printing’ hadn’t become a common term at that time. My senior design team member utilized the services of the RPC (material extrusion technology) to build a snap-fit casing around a printed circuit board we had designed as a part of our cricoid pressure monitor prototype. As the field developed, the interest was still there, but I didn’t pick up work with 3D printers again until early 2015 when I became the first clinical engineer in Mayo Clinic’s Department of Radiology to support the efforts of the Anatomic Modeling Lab. It’s safe to say that my interest has now grown into a passion. Why do you think it is important that we celebrate International Women’s Day, especially in the wider scientific community? The first time I had heard of International Women’s Day was in March of 2011 while in Bergen, Norway training for an engineering position with NordicNeuroLab. There was a large banner in the city center, and I remember walking by and thinking about the many strong female leaders who had guided me to that point in my life. Celebrating International Women’s Day is important in the STEM community as we continue to build the female workforce and leverage the creativity, ingenuity and compassion of female professionals. Do you have any advice for young women in science, technology, engineering and mathematics (STEM)? You can figure it out. Success is not a blanket idea, but rather a series of small achievements. Ask for help and break things down into their smallest particles. There is no problem you cannot solve. Failure is not fatal. Winston Churchill said, “Success is not final, failure is not fatal; it is the courage to continue that counts.” Learn from your mistakes and continue to build upon your ability and confidence. In fact, I believe my strongest skills are in areas that I initially butchered. It’s a fantastic way to learn. At the end of the day, make yourself proud. Mayo Angelou’s words resonate: “People will not remember what you said, they will not remember what you did, but they will remember how you made them feel.” It’s simple: be inclusive and be kind. Work hard and let your work speak for itself. 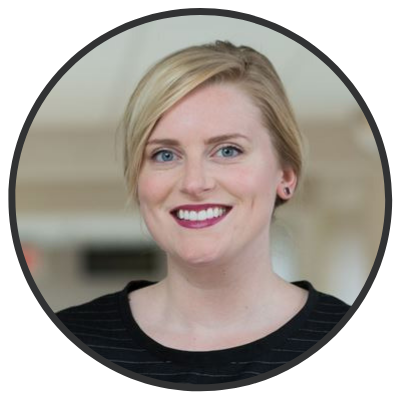 Amy Alexander is a Senior Biomedical Engineer in the Mayo Clinic Department of Radiology’s Anatomic Modeling Lab in Rochester (MN, USA). In her role, Amy converts 2D radiological images into 3D models and patient-specific surgical cutting guides. These life-size, patient-specific models and guides help surgeons from different specialties prepare for complex procedures. Additionally, these 3D prints form a communication bridge for patients regarding their personal surgical plan. Amy holds a Bachelor of Science in Biomedical Engineering from the Milwaukee School of Engineering (MSOE; WI, USA) and a Master of Science in Engineering Management from MSOE’s Rader School of Business. She has served on the SME Medical 3D Printing Workgroup for over three years, is a member of the Radiological Society of North America’s 3D Printing in Medicine Special Interest Group, and is certified in Additive Manufacturing through SME. She is an active member of RSNA, HIMSS, and SME.